When we announced that we were expecting our first child, people instantly suggested I blogged about my pregnancy experience. I instantly turned my nose up because I give credit to all the much more experienced mummy bloggers out there who are fantastic. 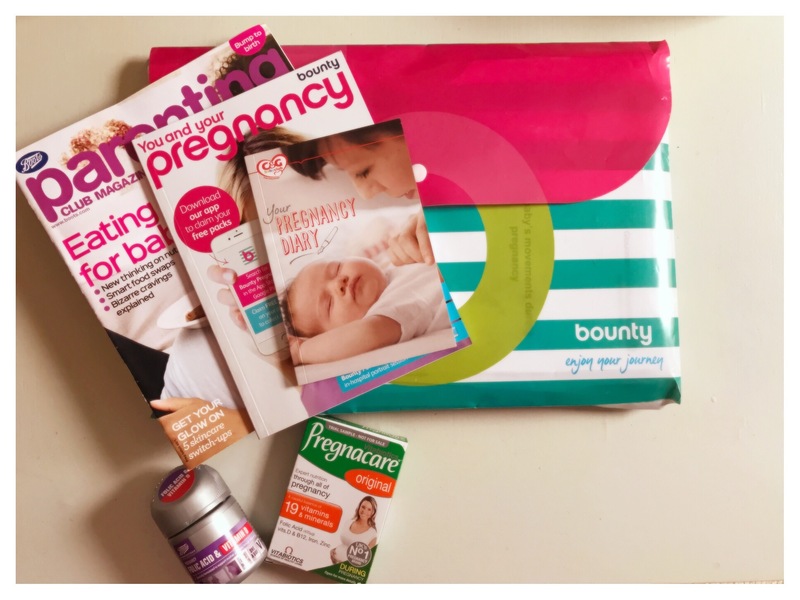 Finally, after years of trying and been told I was unable to be a mummy, I wanted to make sure I kept myself and my baby healthy and safe during the first trimester. So I turned to blog posts for advice, as it is a complete minefield regarding what to eat and how to deal with sickness. Unfortunately, my experience was awful and I wished I hadn’t read some of them. Every woman is different and experiences things completely unique to their bodies, sorry to say whether it is nice or awful. After our announcement, I received messages from friends asking for advice, because they feared reading things on the internet. I don’t blame them, Mr N was telling me constantly telling me not to read stuff on the web. Although I have said it already, I didn’t want to publish a blog about my pregnancy due to lack of experience; I felt I needed to write this to put lovely mummies-to-be minds at rest who may have done what I have done. Morning Sickness – I have been lucky and not suffered with morning sickness, but whilst reading a blog, I was shocked to read the suggestion that if you don’t have morning sickness, you will miscarry! Mummies this is not true! Lots of pregnant women do not suffer from morning sickness. This upset me greatly having suffered miscarriages in the past. When I repeated this to the nurse at the hospital, she could not believe it. It’s absolute rubbish. 12 Weeks & Beyond – Getting to 12 weeks was a worry for me and again, it’s due to my past experiences, however, we were thrilled to have made it this far. I was told you still have to be careful as you can still miscarry before 20 weeks. The truth is unfortunately, anything can happen at any point. Someone’s bad experience may not be yours, so try not to worry. Ergh, at this point I was getting annoyed with hearing things about pregnancies, but to put my mind at rest, we invested in a fetal heart monitor from Amazon to make sure I could hear her; this helped massively. I don’t use it everyday, but once a week. I advised this to a friend too, as she knew she would probably be listening every chance she could. Eating – This I struggled with, but this time around, I didn’t suffer from smells or cravings. I just needed to eat a lot to feel better, so that’s what I did. I snacked on what I could, even though I was told, it had to be healthy at all times. Rubbish! Obviously do not completely cut out fruit and veggies; I am not saying that, but if you fancy that angel cake, then eat it don’t worry! The hardest thing for me was that all my favourite foods were off the menu – the brie, the shellfish, pate! The biggest problem for me, was when people asked me what I fancied to eat and I couldn’t tell them, Mr N just had to make dinner. The Freebies – So I signed up for Emma’s Diary but had to unsubscribe after about a week and a half. I was selectively picking the products and pages I wanted, however, I started to received telephone calls, trying to sell me the products I didn’t want, then emails from companies constantly. I did opt out of the third party emails too. It felt like complete harassment, so I signed up to Bounty which my midwife recommended and it’s been so much better. It is personal preference, I am not telling you that you must get signed up to this, but be wary; don’t we get enough junk? Don’t forget Boots Parenting Club, I received free vitamins which helped when deciding what to take and the extra points. 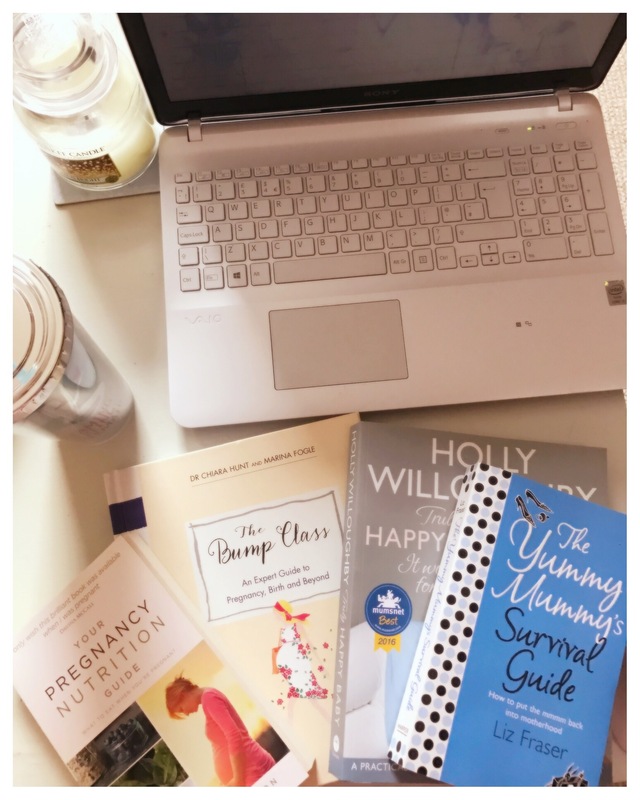 Pregnancy Books – Okay, so there are loads out there, but which is the best one? Again another minefield and even asking other mummies, they all have their own opinions. I took some time out and headed to Waterstones. I spent ages looking and part reading sections of books until I found the right ones for me. I wish there could be a book with everything truthfully told available, I couldn’t find it but if it is out there, let me know. I can highly recommend Your Pregnancy Nutrition Guide. The Life Savers – Well my personal favourite was No.7’s Instant Radiance Highlighter. Wow, this made me looked less tired and hid all those bags! Everyone would say I was ‘glowing’ even when I felt awful, I say it was all down to this lifesaver! 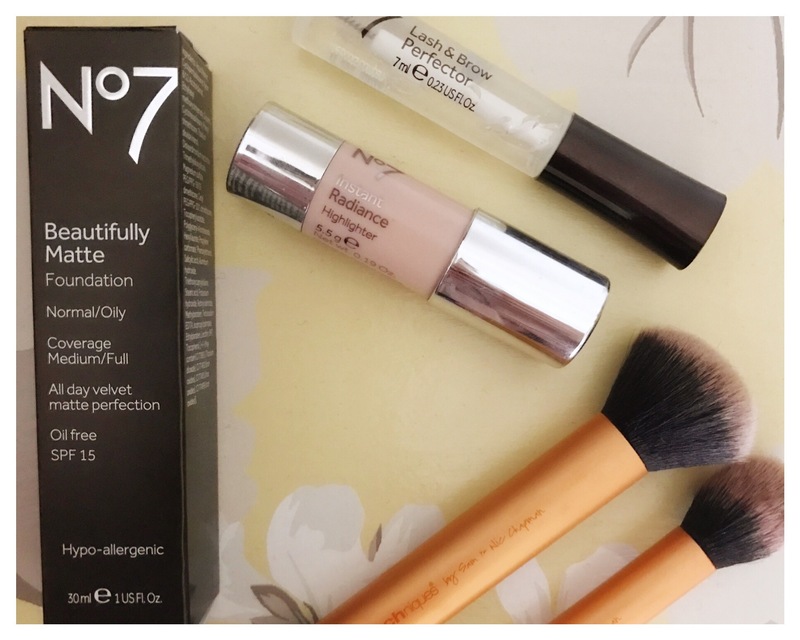 Most of the No.7 range has helped me; they do makeovers at your local counters if you fancy it. Maternity Clothes – I couldn’t fit into my jeans at 8 weeks; I was showing very early and I couldn’t really hide it. 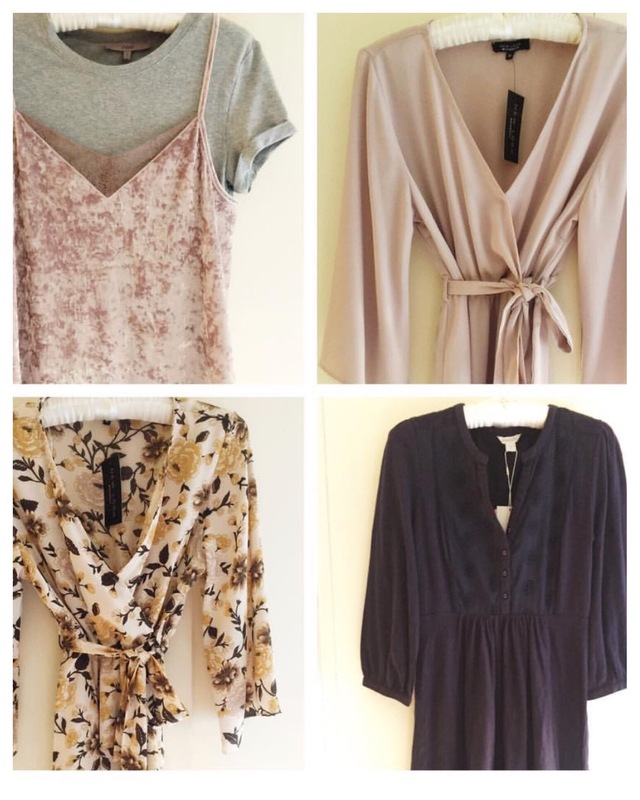 A sales assistant told me it was too early to purchase maternity clothes – again rubbish, I mean honestly! You need to be comfortable and although maternity clothes are few and far between with nice designs, do it for the comfort factor. It was the same with underwear for me too, I purchased Emma Jane bras that are great for now, as I grow and after if you chose, to nurse. At the end of the day, everyone is different and our bodies react differently. I have mummy friends who go through a blissful pregnancy with no side effects and others suffer all of them. The key is you won’t know until you experience things yourself. I am still learning but I have been upset by things said, read and advised to me. Women have been having babies for centuries without most of the rubbish told to us but it doesn’t harm to be cautious. This a time to enjoy, not worry. I wish all mummies the best of luck through pregnancies.